By LUDWIG VON KOOPA - Turning MinecraftEdu into an in-house learning project. Plus, subscription models. Looks like the Minecraft juggernaut isn't slowing down. After expanding to alternate reality and the Wii U, Microsoft decided to outright buy out licensed educational spin-off MinecraftEdu, learn lessons about how to have others learn, bring it in-house, and make it into a subscription-based model named Minecraft: Education Edition. Screencap from their YouTube channel's trailer video. KoopaTV in no way endorses you to join their conversation. Besides, there ain't actually a conversation to join there. There IS one in this article, though! Click the article and scroll down to the comments section! “We’ve already seen [Minecraft] transform classrooms and curriculum. Since 2011, MinecraftEDU from TeacherGaming LLC from Finland – a version of Minecraft built especially for the classroom – has reached thousands of classrooms in more than 40 countries around the world, all reporting wild success. We don’t want to stop there. We believe this is just the beginning. There's a trend at play with Microsoft here, and it has to do with their revenue model. Microsoft actually makes it really obvious. So obvious, it surprised me how up-front it was. “What do I need to buy to get started with Minecraft: Education Edition? Office 365 is something you probably need to stay away from. Software companies are trying to get you to get hooked on their subscription models because it generally benefits them a lot more than it benefits you. 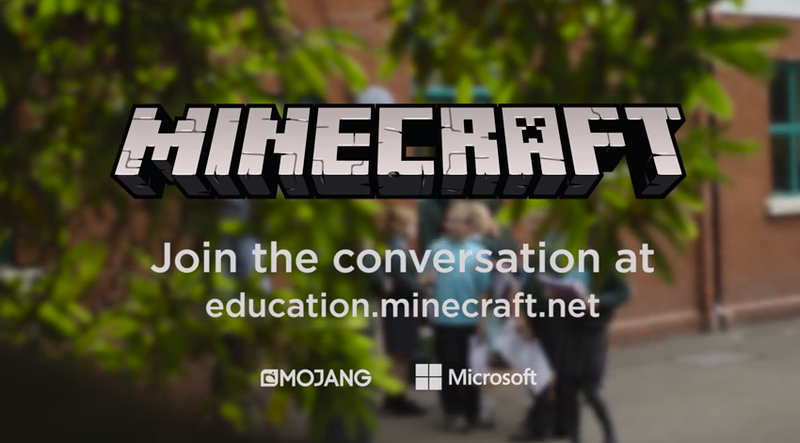 Making Minecraft: Education Edition subscription-based is an obvious continuation of that, and now they're literally trying to connect Office 365 and Minecraft: Education Edition together. You'd think those don't have anything to do with one another... you'd think. 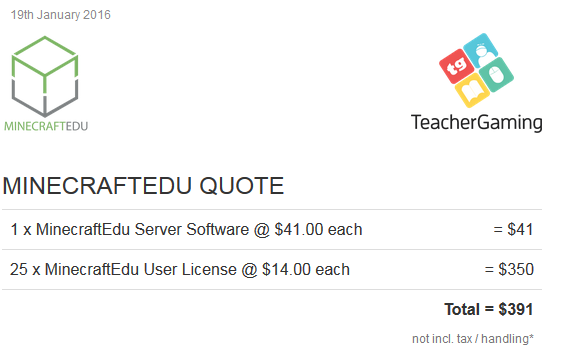 If you bought your own MinecraftEdu server and 25 licenses for your kids [computer lab computers] and the teacher, it'd be $391. Meanwhile, Minecraft: Education Edition will not offer server-hosting like MinecraftEdu does (for $25 a month, which is probably where the profit comes from). With MinecraftEdu, you can choose to host it yourself or use TeacherGaming LLC's hosting. What will the price for Minecraft: Education Edition be? “How much does it cost? $5 * 25 people + $41 (we'll say the cost of the server is the same) is $166. So yeah, if you're only going to have this for one year, then it's the better deal to have the subscription service over a you-keep-this-license-forever purchase. But assuming the school sees the value of having a Minecraft-based educational program, then you start getting ripped off in year 3. And you SHOULD do this for more than three years if you're serious and get past the free trial period. And you won't have the option to buy MinecraftEdu with its perpetual license in the future, so buy buy buy those licenses now before they go away! (Though I doubt any decision-makers are reading this, but who knows with search engine results these days!) Your students will still learn a lot no matter which one you buy — heck, some schools just use the commercial version of Minecraft and learn just fine. Screencap from that same trailer video. Someone needs to explain why a Microsoft-branded video prominently features THE COMPETITION'S computers? By the way. With any luck, children will associate Minecraft with school and stop playing it at home because it's not cool to do school stuff in your free personal time. Could we finally see the tight grip that Minecraft has on our nation's impressionable youth loosen up? Kids can stop being really annoying Minecraft fans (and will probably obsess over something else that hopefully isn't ugly to view in a social media feed), and videogames get the esteem of being versatile educational tools. Ludwig enjoys the idea of videogames being treated seriously as an educational medium, and wonders why other videogame companies (normally focused on entertainment) don't make strides in that area. Join the conversation... on www.koopatv.org! Are they trying to make the new generation cancerous or something?? Next we will see FNAF: Education edition too .-. Somehow I don't think FNAF has any potential for educational value, but Minecraft actually does because it's user-generated content. It's great for potentially a lot of things, as Microsoft and TeacherGaming would like to point out. Not just for STEM but for history and the arts. So are you speaking as someone who actually does get to learn from Minecraft in a classroom setting, or are you just hoping you will? ...I don't really see the connection between "it's cool for students who like Minecraft" and "I want to like it but I can't". Fun Fact: I liked Minecraft. *gasp! * Then I got bored... after a year. *no way! * My sister still plays it, and we still have it on the Xbox. I know what it is that make people enjoy it: Minecraft is fun when you want it to be, and think of what you want to do and how to achieve it, so once you don't think of anything, that's when it ends. "With any luck, children will associate Minecraft with school and stop playing it at home because it's not cool to do school stuff in your free personal time." Really? None of the students in the trailer looked like they didn't want to play Minecraft. Hey, don't you always want a game to be fun? "By the way. With any luck, children will associate Minecraft with school and stop playing it at home because it's not cool to do school stuff in your free personal time." Would you like this to happen with Undertale too? What the heck would kids learn from Undertale in a classroom, anyway? Minecraft clearly has several legitimate educational uses. Undertale has zero.